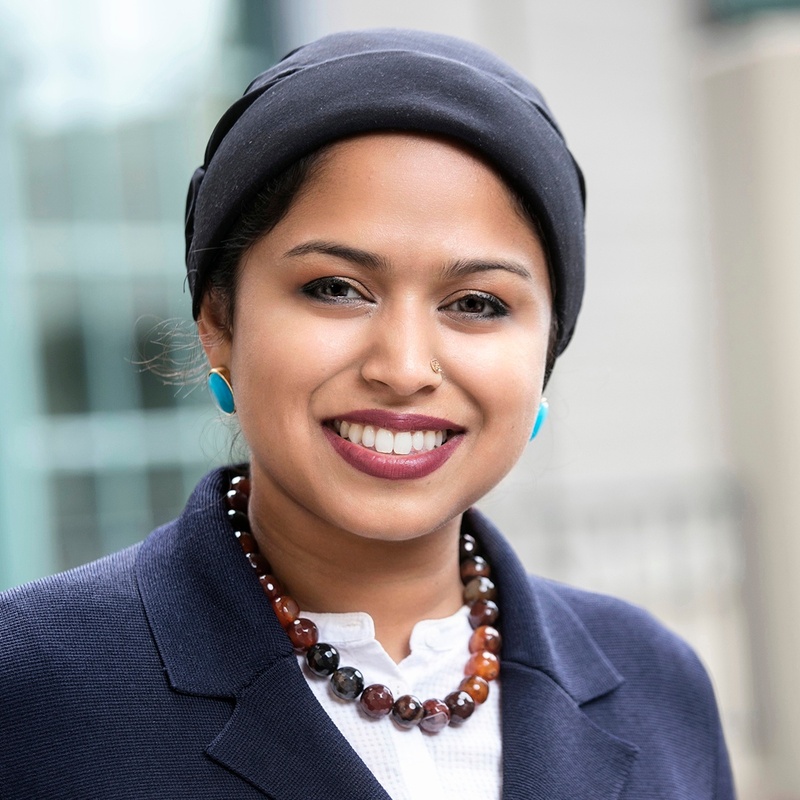 We've previously introduced you to Nancy Hoque, a student in the Evening & Weekend Berkeley MBA Program with a passion for gender equity. She has extended that passion to launching Lean In circles at various organizations, including at Berkeley Haas. This past year, Nancy led a session with fellow evening and weekend MBA student Tess Peppers. Joining in were Haas Director of Diversity and Inclusion Élida Bautista, Dean Rich Lyons, Haas Lecturer and film producer Adam Leipzig, and students from the full-time and part-time MBA programs. The group discussed making diversity actionable through allyship and, says Nancy, shared "an incredible hour full of candid conversations, powerful stories, and plenty of 'A-ha!' moments." Allyship isn't only about speaking for others; sometimes it's about knowing when it's your job to take up less space. Naming your intention can strengthen it. One example? the Manbassadors connected to Women in Leadership at Berkeley Haas. Remember that power is not so much given as taken. That means a moment of genuine presence can shift the power dynamic. Focus when working in intersectional causes can enhance impact, as with the Gender Equity Initiative at Berkeley Haas. It's important to recognize when you have a podium—and can be a voice for those that do not. I invite you to learn more about the Evening & Weekend Berkeley MBA Program.